Congratulations to our clients John and Stephanie on their marriage in Puerto Rico last week! Happy to use family heirlooms to create their unique engagement ring. Their wedding photos were shown in the Huffington Post 25 Real Couples Who Were All Smiles On Their Wedding Days. The Re.Gem.er.a.tion process of designing their rings out of John’s family jewels was showcased on our Takohl website. Learn more about our unique bridal experience here. 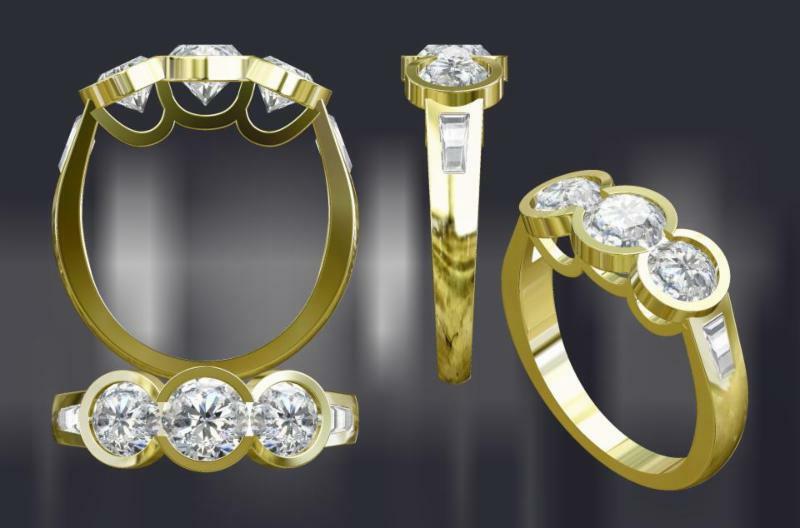 Here at Takohl, we love helping couples celebrate their anniversaries by updating their existing engagement and wedding rings to match their current personal sense of style. How to celebrate important milestones? We have some fresh ideas! Our CAD imaging presents the new ideas clearly for our clients to explore the possibilities. We matched two new diamonds to flank her existing one to create a unique collective look. The ring is revitalized with a modern setting and extra diamonds while keeping the sentimental value of the original engagement ring. 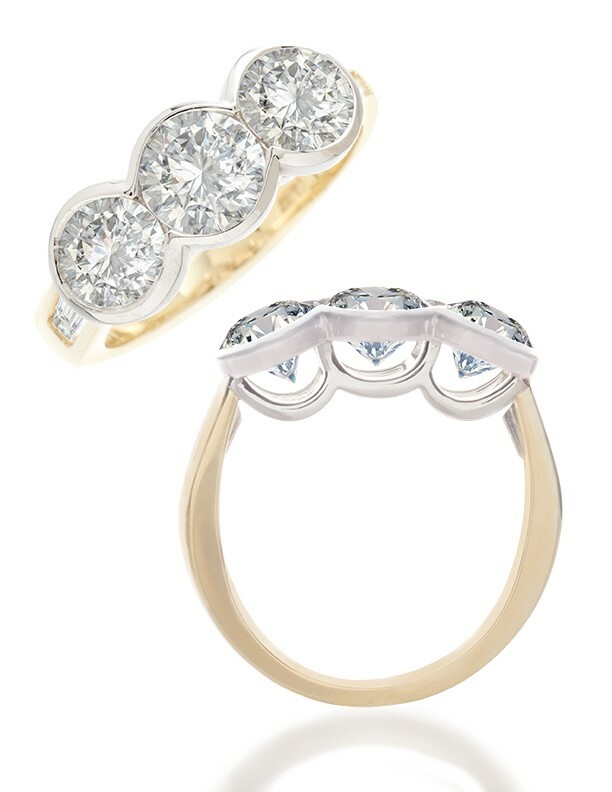 We design to include as much light into the setting as possible to accentuate the luster of the diamonds. Our talents are also making the diamonds appear larger than than really are. 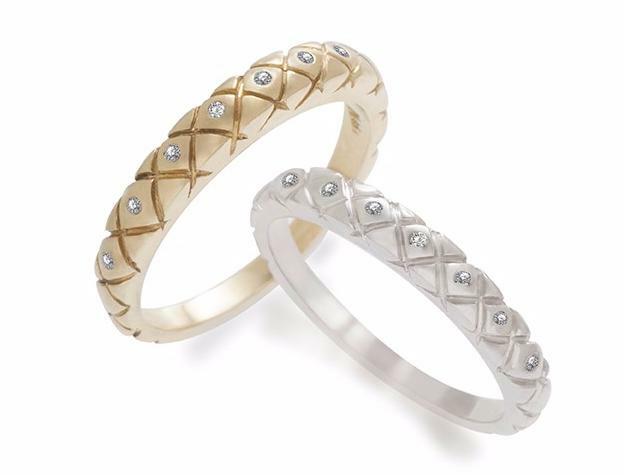 The quilted bands stack up beautifully on either side of the new ring creating an interesting three ring set. Voila! 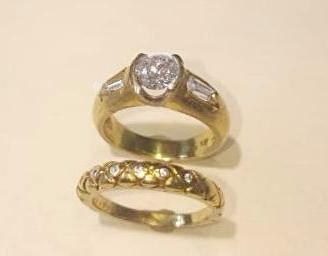 Book an appointment to redesign your own ring.